Get free advice and estimates from CCTV and intercom installers in your city. 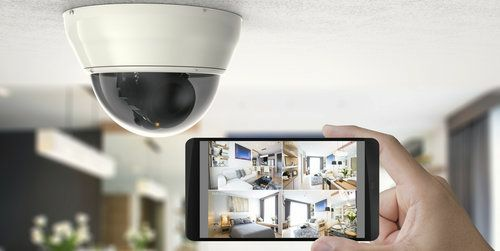 Home security camera systems play an important role in not only keeping you safe but also allowing homeowners to keep an eye on what is happening even when away from home. The two main options are outdoor and indoor cameras. Which is better suited to your needs? The key advantage to indoor cameras is that they can be much smaller than outdoor cameras. They can be placed in unobtrusive spots so that they do not interfere with your interior décor. These are not suitable for outdoor use, however, because they are not weatherproof. On the other hand, outdoor cameras tend to be bigger, bulkier, and can be clearly seen. This can act as a deterrent for intruders who might otherwise attempt to gain entry to your home. Outdoor cameras should be mounted at the key entry points to your property. Thus, they should be installed at gates, garages, and any door into the home. Mounting 1 a camera at each corner of the house provides a clear view of the entire perimeter and will also record any attempts to enter through a window. In addition, if you park your vehicles outside, a camera pointed at the driveway will catch any attempts to break into them. Indoor cameras are often intended to record activity within the house by pets and babysitters as well as intruders. They are often placed in high-traffic areas and where more valuable items are kept. Dome cameras are recommended for both indoor and outdoor installations. Because you cannot tell in which direction the lens is pointed, it is harder for someone to hide from the camera. Modern security cameras are well-equipped to transition easily to different light levels. The infrared feature records a clear image even in extreme low-light conditions, and the cameras can adapt to quick changes in illumination. Outdoor cameras, however, are better suited to changes in light levels. 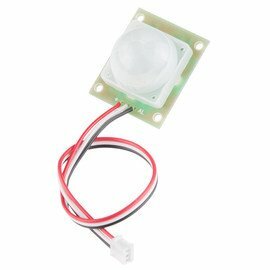 Do not depend on an interior camera placed in a window to record activity outside at night. Security cameras are best installed by a professional familiar with the process. Many companies specialize in the installation of home security systems. Outdoor security cameras are more likely to require hard-wiring into the electrical system rather than being operated by batteries, which typically requires a licensed electrical contractor. Outdoor cameras should be permanently mounted where they will have an unobstructed view and be high enough to be safe from vandalism. First, the cameras are connected to their power source and network and then positioned and fixed into place. Indoor cameras do not have to be permanently fixed to one spot. New wireless models link to your network, run on batteries, and can be easily relocated. That way, you can move them from room to room depending on your surveillance needs. A professional can connect them to your home network and determine the optimal locations. Also, small cameras can be permanently installed in particularly high-traffic areas such as near smoke detectors 2. These should be installed by a professional who can hard-wire them so that you will not have to access them to change batteries. The average cost for the installation of an indoor security camera system with 4 cameras is $1,200. This includes $200 for the hardware and $100 for labor for each camera. An outdoor security camera system with 4 cameras will cost on average $1,600 because outdoor cameras tend to cost $300 per unit. While labor costs are the same as for an indoor system, the larger size and weatherproofing required for outdoor cameras increases the price. An indoor security camera cannot be used outside because it is not weatherproof. An outdoor security camera not only has to provide surveillance but also resist a wide range of outdoor weather conditions. The units are waterproof and tamper-resistant. Depending on your climate, it may even need a heater and blower. If you try to use an indoor camera outside, it will not last long. Wireless systems are quickly becoming the standard in security cameras, especially indoors. As the connectivity improves, even outdoor systems can be linked to your home network for reliable transmission and storage of images. This reduces the cost of installation and eliminates the need to hide unsightly cables. Outdoor security cameras record outdoor activity without recording more private moments inside your home. If your main concern is deterring and recording intruders, an outdoor system should suffice. However, if you have a babysitter, cleaning crew, or pets or teenagers you want to keep an eye on, indoor security cameras allow you to monitor activity within your home from your computer or smartphone for complete peace of mind. How much does it cost to install outdoor or indoor security cameras in my city? Cost to install outdoor or indoor security cameras varies greatly by region (and even by zip code). To get free estimates from local contractors, please indicate yours.